There are few places on the planet where this definition is being applied at a more rapid pace, and with such astounding, internationally acclaimed success, than Israel. 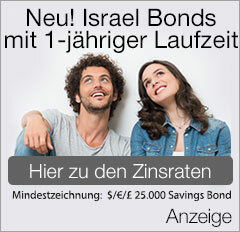 As national director of marketing and communications at Development Corporation for Israel/Israel Bonds, I decided, together with Bonds President & CEO Israel Maimon, that it was definitely time for a look. 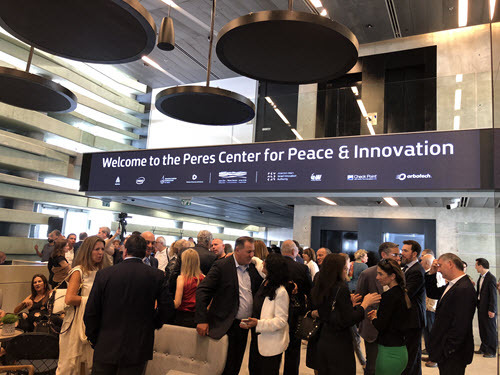 There was no better opportunity to assess Israel’s tech revolution than by attending the October 24-25 opening of the Israeli Innovation Center in the Peres Center for Peace and Innovation, situated along the Mediterranean Sea in Jaffa. The two-day event culminated with the Prime Minister’s Innovation Summit. 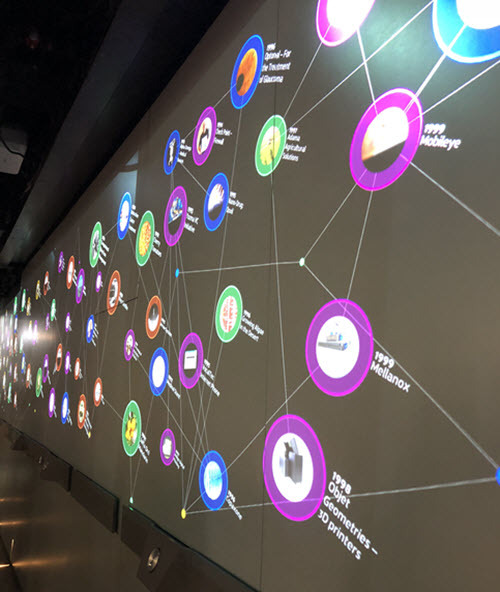 The seemingly boundless imagination fueling technological wizardry in the Jewish state was readily apparent at the Israeli Innovation Center. 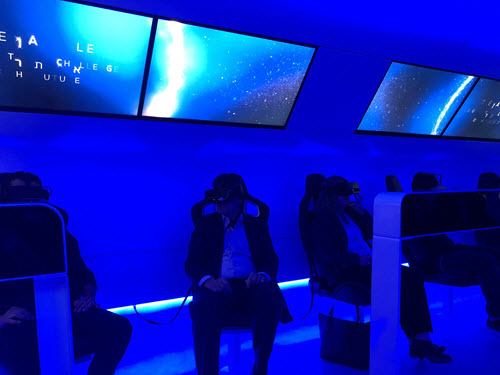 The center is comprised of three levels: a breathtaking virtual reality experience; an interactive display of more than a century of breakthroughs in five different sectors; and an exhibit hall in which nearly 50 startups showcased ideas for the next wave of innovation. Featured startups will be rotated every six to nine months, with companies being selected by a review panel. 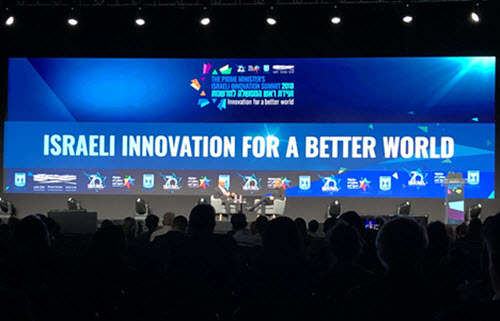 Nadav Tamir, Peres Center senior advisor for governmental and international affairs, is quick to point out the new site “is not a think tank, but a do tank.” He explained, “No other place in Israel tells the story of innovation. People see Jerusalem, but not future-oriented Israel,” an omission Tamir hopes will be rectified by visits to the Innovation Center. Shimon Peres ardently believed, “The best way to predict the future is to create it,” and the Israeli Innovation Center represents the embodiment of his words. On opening day, the place was buzzing, and beyond the site itself, the biggest focus of attention was Peres Center Board of Directors Chairman Chemi Peres. In a conversation with me, Peres spoke emotionally of the opening, taking place two years after laying the cornerstone for the Innovation Center with his late father. 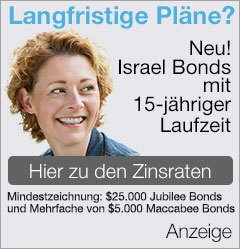 Peres was not only present in spirit. He even made a guest appearance of sorts, with a hologram of the late president opening the Prime Minister’s Innovation Summit. It seemed fitting that the two-day commemoration was connected to Israel’s 70th anniversary celebrations, because, although Peres did not live to see Israel at 70, he played an essential, indispensable role in shaping the nation’s destiny, beginning with the battle for independence.